Bash has really unique for loops, as they allow you to dynamically create a list with no specific syntax. 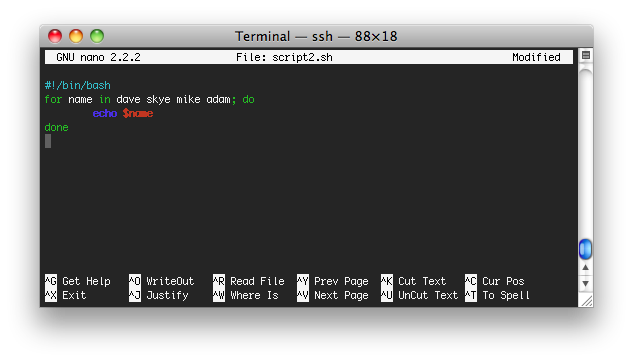 For example, this script will yield this output. This is a really handy way to iterate through a list of names or a list of anything.